Found on Craigslist, it's the coolest armored vehicle we've ever seen. The phrase "armored vehicle" tends to conjure up a certain image. Just a big ol' truck, perhaps, or maybe a blacked-out Mercedes-Benz S-Class. 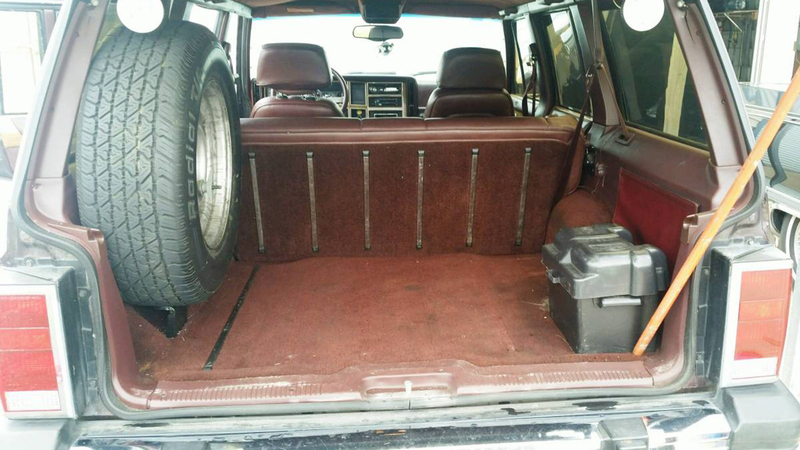 Protected transportation doesn't usually take the form of an old Jeep, but that's exactly what the Craigslist gods have brought forth this time: for $8,495 in Florida, it's a 1990 Jeep Wagoneer hiding full bulletproof armor, James Bond-esque gadgets like tear gas and rear blinding lights, and more survival gear in a completely stock package. You'd never know by looking at it, but that tasteful vinyl woodgrain wraps around a body blessed with a complete Kevlar-based B4 armoring package that should repel most small arms fire—with one-way gun ports squirreled away under the sheet metal so you can really protect yourself, of course. The whole thing was done up by O'Gara Armoring sometime in the '90s. The glass is also bulletproof, save for the windshield for some reason, and the tear gas launcher (now outfitted with smoke bombs for legal reasons) and rear blinding lights are said to work like the day they were installed. The rear lights can also be shut off independently to lose a tail in the dark. 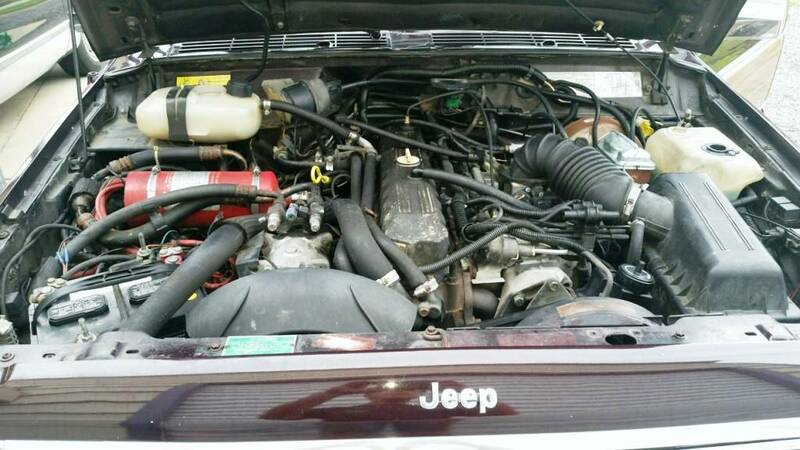 The XJ Cherokee-based Jeep Wagoneer is already a durable thing, Its tough-as-nails 4.0-liter inline-six is kitted out with a second cooling fan, an automatic fire suppression system, and an extra battery, while run-flat tire inserts are designed to keep the party moving. Stopping this Jeep would be a challenge, especially considering that it's carrying an extra thousand pounds of weight. Yet it still manages about 14 miles per gallon. There's something deeply wild about the way this Jeep's grandpa vibes mesh with the incredibly serious nature of its intended mission. 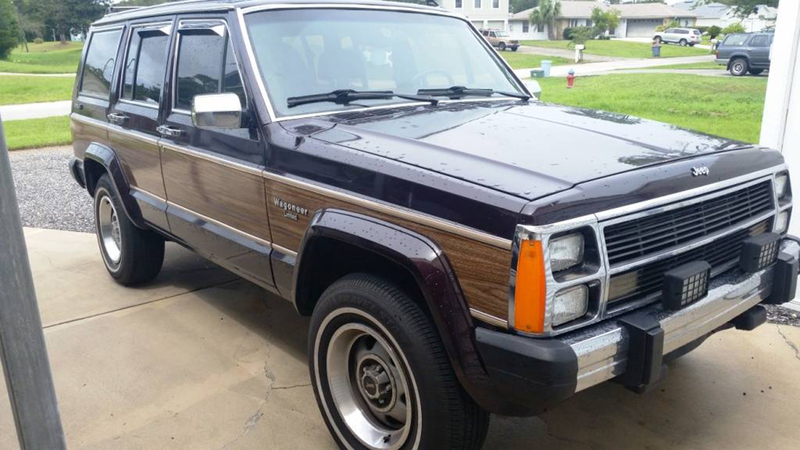 The wood paneling, the messy red-brown interior, the Florida license plate—it's at once hilarious and more than a little disconcerting to picture this thing rolling into battle. Its mere existence raises deep existential questions on the nature of modern paranoia—so of course, we had to know more. The Drive reached out to the seller, a south Florida man named Ken and self-described "owner of weird things. The more unusual the vehicle is, the more I have to have it." Ken picked up the armored Wagoneer on a whim in 2012 after seeing it pop up on eBay; interestingly, he says the seller was none other than the Petersen Automotive Museum in Los Angeles. The timing of the sale does line up with the museum's preparations for its $125 million renovation, so it is possible the oddball Jeep was exorcized from the collection as it cleaned house. We reached out to the Petersen for more information, though we haven't heard back yet. In any case, Ken was equally curious about the Jeep's past, though the Petersen couldn't (or wouldn't) provide any information beyond its armor specs. O'Gara Armoring was equally unresponsive—Ken notes they told him they prefer not to share details about clients past or present. O'Gara also hasn't responded to our request for comment. In the end, all we know is that it was last registered in California in 2004 before Ken got ahold of it, and it never belonged to any kind of government agency. That leaves room for endless speculation. What private individual could have wanted this level of protection in such an unassuming package? Why the gun ports for shooting back at people? Why all the counter-pursuit measures? Just...why? For such an unusual vehicle, Ken certainly hasn't been treating it as such. 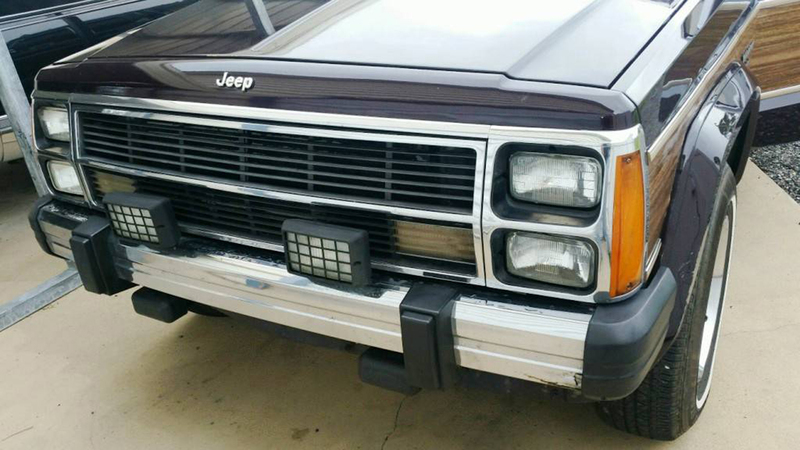 He bought the Jeep Wagoneer with around 60,000 miles on the clock and proceeded to use it as a daily driver; the odometer now reads around 140,000. He says it's a little slower than your average XJ Cherokee, but not unbearably so. It's stayed on the road with the help of regular, everyday maintenance—though its rust-free California heritage definitely helps, not to mention its extended stay in the country's foremost automotive museum. That, or maybe a doomsday prepper. It could honestly go either way.